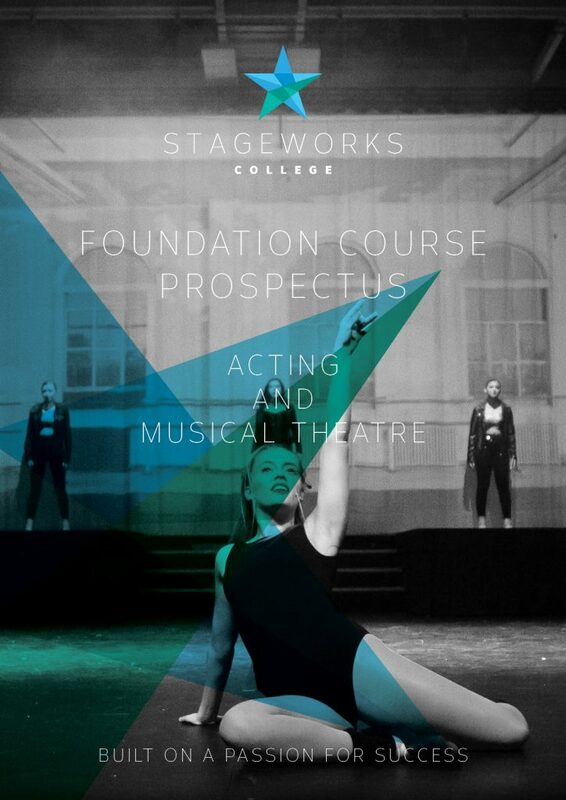 Stageworks College was the pioneer of intensive, full-time Level 3 performing arts training in the UK. Our 2 year Foundation Course offers you the opportunity to study for a BTEC Level 3 Performing Arts Diploma specialising in Musical Theatre or Acting. In addition to your BTEC qualification and studio hours you will benefit from an intensive technical training programme. Both of these elements of the course are FREE for students eligible for ESFA funding. We also offer an optional and affordable audition preparation package which students can add to their personalised training programme. This package includes private singing lessons, private acting lessons, fitness classes and other specialist classes related to your course. Since our Foundation Course launched in 2003 we have had a 100% success rate in getting our graduating students placed in colleges for their next level of training. Whether you choose to study on on our Musical Theatre foundation course or Acting foundation course, you will receive full-time training in singing, acting and dancing. Classes are weighted to meet the specialist nature of your chosen qualification and you will benefit from a personalised training programme that is tailored specifically to strengthen and develop your talent in all areas. The basic course runs for at least 18 hours per week (rehearsals and performances are in addition to your regular timetable) with the option to add a further 7 hours per week of audition preparation classes. Your core training is fully funded for those students who are eligible for ESFA funding (students not eligible for funding can still apply). This includes your BTEC study hours, as well as an additional technical training programme featuring extra drama and dance classes related to your course. Unlike other BTEC Level 3 performing arts courses, where your vocational training is limited and you may only train for a couple of hours a week or only study a particular discipline for one unit at the beginning or end or your course, our training is comprehensive and consistent. We also offer smaller class numbers so that we can give you the attention you need to flourish and build on your skills over the two years you are with us to nurture your talent and develop your performance abilities. 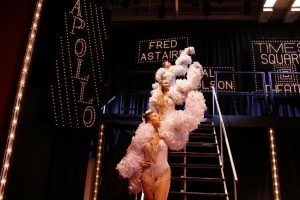 In your second year, all students get to perform in a full musical production staged by ‘The Musical Theatre Company’, which boasts the highest standard of amateur Musical Theatre performance in our area. Previous productions include, Priscilla Queen of the Desert, 42nd Street, Ghost, Grease, Footloose and Guys and Dolls. Weekly rehearsals boost training whilst giving you as near an experience as possible to performing on a West End stage, with a live orchestra and professional set. In addition to our fully-funded performing arts course, we also offer an optional programme of audition preparation training which we highly recommend for students who are interested in furthering their training at performing arts colleges, drama schools or at degree level once they graduate. If you choose to take these classes, you will train for an extra 7 hours per week – taking your total training to up to 25 hours per week. These classes included private singing lessons, private acting classes, monologue preparation and fitness classes, as well as specialist classes related to your course specialism which are designed to extend and strengthen your technique and build your stamina to prepare you to train at Diploma or Degree level. We believe that students who are serious about becoming professional performers should be training 25 hours per week to give them the best chance of success when it comes to securing college offers and scholarships. In your second year, if you continue to take the audition preparation classes, you will focus on audition planning. Supported by our course leaders and department specialists you will receive advice and support on all aspects of the audition process from songs, monologues and dance pieces, to completion of application forms, professional head shots, interview skills and the importance of self-confidence and professionalism. We pride ourselves on being able to give independent advice and relevant training and information for audition at ANY of the 3 year accredited performing arts colleges at Diploma or Degree level or other specialist training courses. Scholarships are available to cover the fees for our audition preparation classes. Please contact us for details. We prove this course works year after year with increasing numbers of students graduating with several offers to Diploma and Degree courses. Not only do we see students who have already received college offers be successful at re-auditioning with enough knowledge to earn full funding, but we also see students who began training at Stageworks with a lack of skill in some areas, not only earn places at some of the best colleges in the country, but also be offered fully funded places. To us, this confirms these colleges identify the skill and knowledge of our students. The course has been running since 2003 and every year we have a 100% graduate success rate. We have a range of afforable properties all within walking distance to the college and St Neots train station, with possible access to residential support funding and competitive rates if paying privately. Our students pay £80-90 per week, including utilities. For the majority of students, this will be the first time they have lived away from the family home. Instead of experiencing this for the first time in the hustle and bustle of the country’s capital, deciding who to live with and being solely responsible for sourcing and paying for accommodation and utilities, we offer a safe and practical stepping stone for students to learn the added responsibilities of looking after themselves. All Stageworks tutors are qualified or working professionals with the relevant professional experience to advise and educate students towards the standards required for a full-time three year college course. Many of our tutors have either been taught or have been teaching at various three year vocational performance colleges so have direct knowledge of the courses and the specifics required. Guest teachers and additional working professionals are invited to the college on a regular basis to enhance your experience and knowledge. Find out more about our faculty here. All students attending Stageworks for the first time will arrive with a variety of talent, some whose specialism is acting or singing may never have danced before, and others who have danced for many years may never have sung in public or taken part in a drama class. Our objective is to build on existing skills and introduce, develop and expand the areas that students have less experience in. 100% college placement success since 2003. Find out where our students have gone on to study.